By Lianna Spurrier for CoinWeek …..
Newman. Ford. Eliasberg. King Farouk. We see their names on slabs, on organizations, and in books, but how much do we know about them? 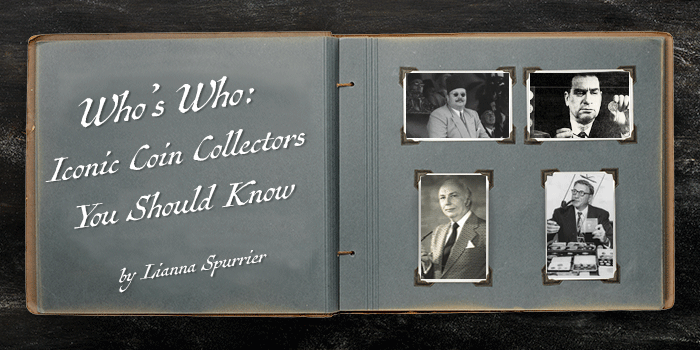 It’s easy to never dive into who they were beyond “important collectors”, but each has an interesting story and a lifetime of unique achievements. Presented here is an introduction to four important collections that have crossed the auction block. Next time you see a coin attributed to one of these collections, hopefully, it will have a little more significance than just a name on a slab. Eric Newman was born in Missouri in 1911 and became interested in numismatics at only seven years old when his grandfather gave him an 1859 Indian Head cent. He went to the shop of Burdette G. Johnson consistently for years, and Johnson became his mentor. He continued to collect as he graduated from MIT with a Bachelor of Science degree, and Washington University with a Doctor of Law degree. While in college, he met Colonel E. H. R. Green, another established collector. When Green died in 1936, Newman wanted to purchase a particular Missouri note from his collection. He successfully raised enough money from his family to buy the note, then informed Johnson of the sale. Johnson decided to front the money for Newman to purchase the collection, and the pieces were split between the two. He practiced law in the early years of his career, then went on to work for Edison Brothers Stores until retiring in 1987. In addition to collecting, he was also a prolific numismatic author, publishing 13 books and countless articles over his lifetime. Some of his works include The Early Paper Money of America and The 1776 Continental Currency Coinage: Varieties of the Fugio Cent. He died in 2017 at the age of 106 and left behind quite a legacy. 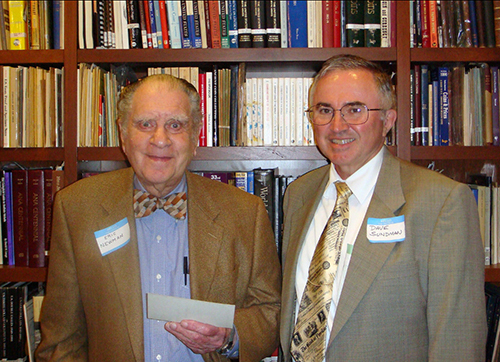 He and his wife, Evelyn Edison, established the Eric P. Newman Numismatic Education Society (EPNNES), which supports furthering of numismatic education. 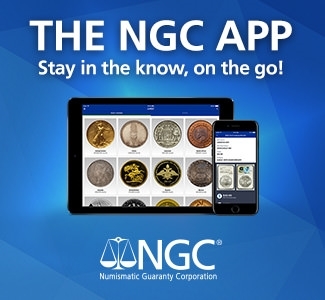 Through the EPNNES, he created the Newman Numismatic Portal (NNP), an online archive of numismatic publications that is available for free. In 2003, he created the Newman Money Museum at Washington University, which featured pieces from his personal collection until April of 2018. His collection was sold in a series of auctions from 2013 through 2018, realizing almost $77 million in total that was then used to fund the EPNNES. 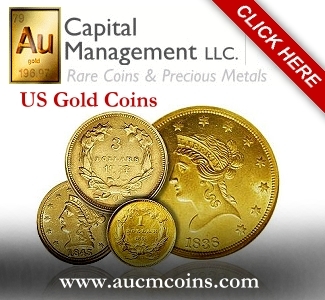 His coins were certified by NGC with special labels identifying their provenance. Those that he purchased from Green’s collection are designated on the label as well. Many other famous collections didn’t have this luxury and are all but impossible to trace today – such as many from King Farouk. 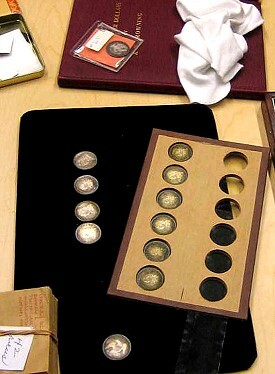 Newman’s collection was extensive, covering US federal and colonial coins, as well as paper money. John Ford was born in 1924 in California and began collecting around 10 years old. He got his first job in numismatics in 1939 cataloging stamps for Stack’s, which turned into a full-time job in 1941. He began dealing in the 1940s as he started publishing catalogs for auctions held in his name. His catalogs were remarkably detailed in describing each coin’s grade and appearance, which increased bidders’ confidence and drew a lot of interest. Other catalogs of the time contained much less information, and only the most knowledgeable collectors would know what they were really looking at. Ford’s catalogs helped bridge this gap and revolutionized the way auction houses promoted their sales. He went on to join the New Netherlands Coin Company in 1951, where he continued to produce highly detailed auction catalogs. There he worked with and mentored Walter Breen, author of Walter Breen’s Complete Encyclopedia of U.S. and Colonial Coins. His numismatic career was not without controversy; in particular, he was accused of selling fake western assay bars, although many experts in the field did believe they were genuine. It has since been proven that many of them were replicas. He also had a tendency to intentionally underrate coins in his auction catalogs, which was quite the opposite of the normal procedure. Most auction houses aimed to hype up each coin as much as possible, but Ford believed his strategy would garner more interest. In addition to numismatics, he was drafted into service during WWII and served as an army cryptographer. He went on to become part of the US Marine Corps Reserve from 1948 to 1950, and Army Counter Intelligence from 1950 to 1959. He began collecting with Lincoln cents, but went on to collect most anything except regular issue coinage. He amassed a large collection of pattern coins, Confederate currency, medals (particularly Indian peace medals), colonial coins, pioneer and territorial gold pieces, and even a library of rare books. His collection was sold beginning in 2003 over the course of 21 separate auctions, concluding in 2007. Including the sale of numismatic books, it realized over $58 million. The catalogs from the sale of his collection are the most important publications that he helped create; he published very little during his life. These catalogs contain many very rare pieces that are critical for further research in specific series. He was also a founding member of the Numismatic Bibliomania Society, which focuses on rare books about numismatics and continues today. 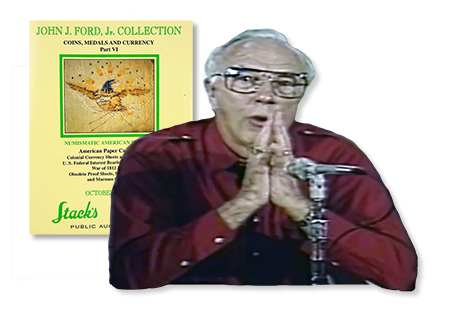 Ford died in 2005 in Phoenix, Arizona, after 70 years of collecting. Born in 1896, Louis Eliasberg’s collection was the antithesis to Ford’s. A Baltimore financier by trade, he began collecting in 1925 and became increasingly interested alongside the Great Depression and the 1933 embargo on gold. Gold was only legal to own if it had numismatic importance, and he saw this as a good store of value as he had lost trust in the stability of paper money. 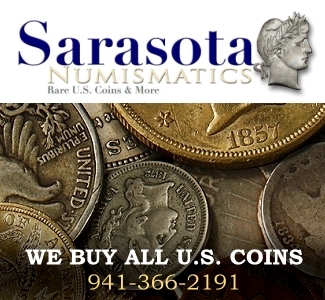 He made it his goal to assemble a complete collection of circulating US coins by date and mint mark. To this day, he’s the only person to have ever achieved such a feat. He purchased some already established collections along the way, such as the Clapp Estate Collection. J. M. Clapp began collecting in the 1880s, and the collection was then continued by his son before being sold to Eliasberg in 1942. Even so, it was far from complete. At one point, he was one of three individuals to privately own a 1933 double eagle. 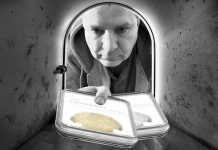 However, when he learned that it had never been legally released and was being recalled by the government, he sent it in without any compensation. In 1950 he completed his collection with an 1873-CC No Arrows dime, the final piece he needed. He then displayed his extensive set at numerous institutions, including banks across the country, the Smithsonian Institution, and the Philadelphia Mint. He became known as the “King of Coins”, and was featured in an article in Life magazine. He continued collecting until his death in 1976, constantly upgrading his collection and ensuring it was complete as new coins were minted. After his death, the first auction of his collection was set for 1982. It was discovered that he had missed one coin – the 1866 No Motto double eagle. Before anything was auctioned, his family purchased one to include. As was custom prior to the 1980s, he didn’t distinguish between proofs and circulation strikes, but his collection is still the most comprehensive set of circulating US coins ever amassed. A more official title than the “King of Coins”, King Farouk I of Egypt was also a collector of American coins. Born in Egypt in 1920, he became king in 1936, at only 16 years old. He was generally seen as childish throughout his reign and lived very extravagantly, preferring to spend his evenings at nightclubs. He made tours through the country and would throw gold coins to the poor, and went on frequent shopping sprees to Europe. When he ascended to the throne at the death of his father, he inherited a massive estate. He collected countless things – from Faberge eggs to paper clips – but his most well-known collection was of coins. 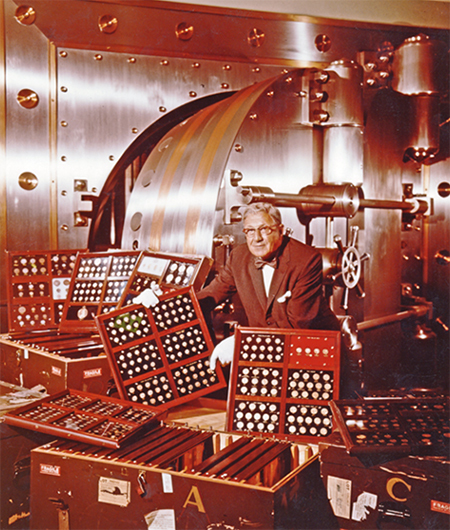 Primarily assembled in the 1940s, he purchased large quantities of coins from American dealers. While he would commonly buy entire collections at once, dealers quickly learned that any payment over $10,000 would take a long time to arrive as he had to send it through the treasury. Regardless, he amassed a collection of over 8,500 copper, silver, and gold coins and medals, including two 1913 Liberty Head nickels and a 1933 double eagle. He was a popular king despite his immaturity, until around 1945 when the populace began to call for policy change to help the poor instead of tossing gold coins. In 1952 he was overthrown in a coup d’état and exiled to Italy, where he died in 1965. When he was overthrown, his coin collection remained the property of the Egyptian government. In 1954 it was auctioned off in less-than-ideal circumstances. A London firm was hired to catalog the collection, but they were given very little time to do so. As a result, coins were grouped by denomination into lots of 15-20 coins, paying no regard to dates or mint marks. Rarities were mixed in with common dates, and some listings in the catalog gave no information regarding dates or condition. They had very low-quality photography, and viewing conditions for the lots prior to the sale was poor. In addition to the substandard catalog, the auction was held in Cairo, where politics were unstable and the financial arrangements were uncertain. Considering that it contained primarily American coins, the location was a major inconvenience and the attendance was very low. Ultimately, it had the potential to realize far more than it did. It’s been estimated that some of the lots sold for around 10% of their actual market value. Had it been auctioned well, it’s estimated that it could have realized over $150 million in today’s market – far more than any other collection. The most notable single piece was the 1933 double eagle. When the auction was announced, the US government requested that it be returned to be melted, as that date was illegal to own. Egypt agreed, but the coin disappeared soon thereafter. It finally surfaced in 1996 and the US government ultimately took possession of the coin, then auctioned it off in 2002. It sold for over $7 million, making it the most any coin had ever realized at auction at the time.